Model T Ford Forum: It's a tuff job, but someone had to do it! It's a tuff job, but someone had to do it! Model T Ford Forum: Forum 2010: It's a tuff job, but someone had to do it! Yes it was a tuff job to take the old T out for a ride in a blizzard, so I could teach my 10 year old grandson how to drive it, but like I said someone had to do it. 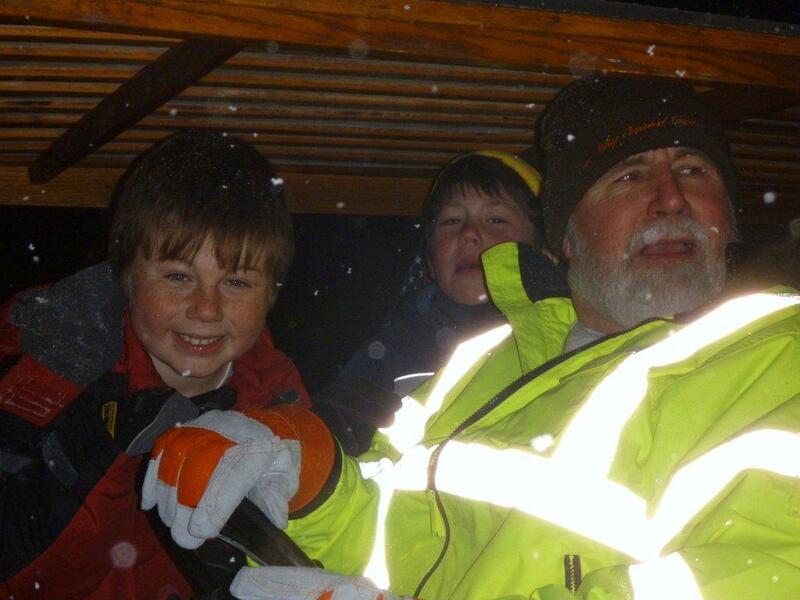 Looks like the makings of great memories for you and your Grandson!! I say that's one lucky 10 year old, my boy also got his first lesson at 10, great pictures !!!! 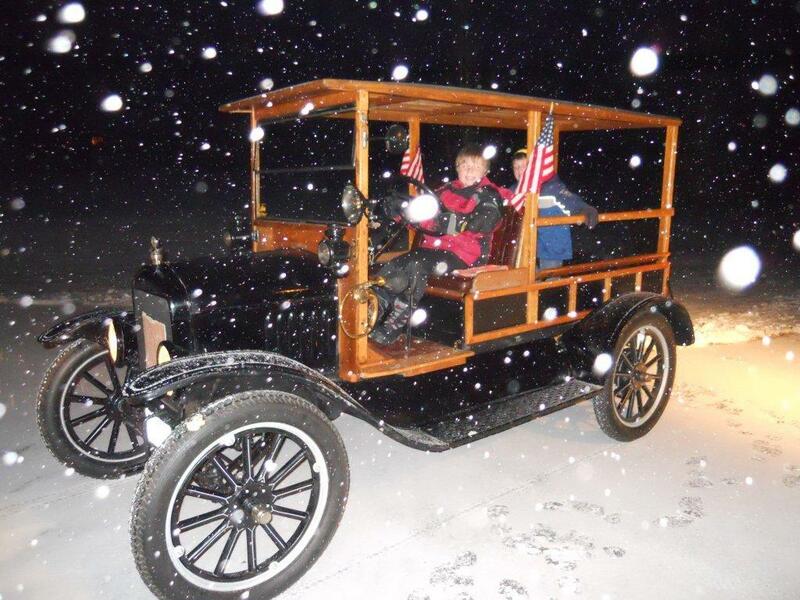 I was a year older than your grandson when my dad and I started restoring our 1919 wagon. I'm sure your grandson will feel the same! I love those woodies. especially if they are in NH!! That's great! You northern guys are a tough bunch. It's in the 30's down here in South Florida right now and my wimpy but isn't going anywhere! My biggest surprise was how easy it was to start the old T, just a few cranks and Sambuca was running. A few adjustments and it was running like a top. 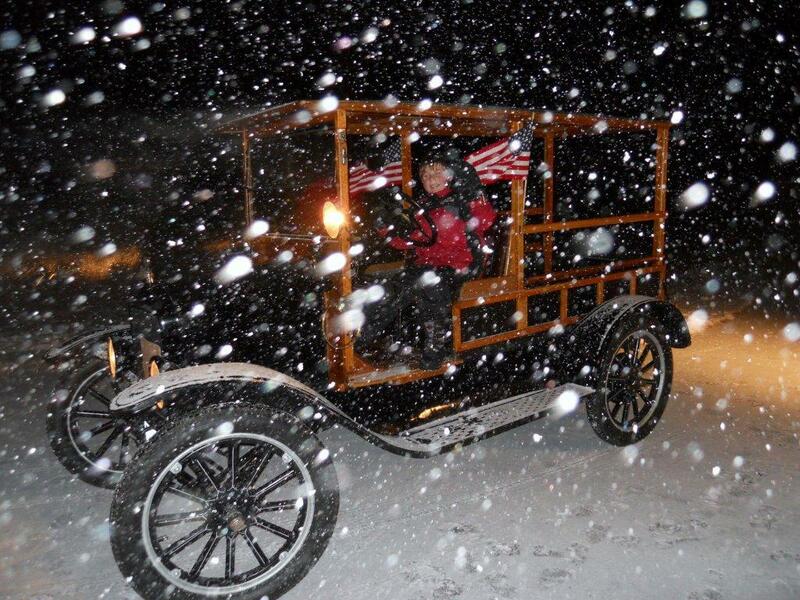 Snow what snow, snow won't stop a Model T from going. I have a very long up hill driveway and we made it to the top several times. I felt it would be unwise to take it out on the road after dark in a blizzard. Yes we're having GREAT fun! Thought that teaching my three children how to drive was exciting and it was, but nothing can compare with teaching a grandson how to drive a Model T. Only those who have had this experience themselves, will know what I'm talking about. WOW, Looking forward to both experiences. Looks super fun (big smiles). Congrats.